Maria Teresa and Luis of Wataniba will give us an overview of the Venezuelan political and economic situation. 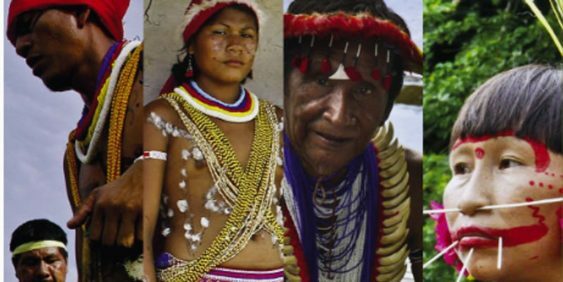 Focusing on the effects it has on the environment and the Indigenous Peoples that live in the Amazon. They will be talking about how the humanitarian crisis and the international blockade are undermining the human rights of Indigenous Peoples, causing unprecedented migration, devastating infringement upon human rights, and losses of human lives. They will also provide an analysis of Nicolás Maduro’s extractivist economic approaches in historically protected traditional territories that, until now, have been part of the most preserved Amazon region. Challenges in a context of extractivism, illegal mining, slave labor in indigenous communities, health epidemics and migration will be the focus on this meeting. We can host no more than 15 people, so your spot will be secured on a first come, first serve basis. Lunch will be provided at noon, and the program will start at 12:30 pm. We will have 45 minutes for the guests’ presentation and 30 minutes for Q&A.